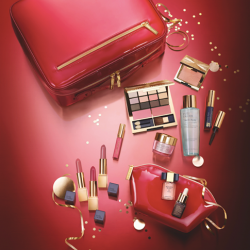 Estee Lauder Colour Edit Collection 2015. It’s like it was made for you. A collection of 20 colors, including 3 full-size lipsticks, Advanced Night Repair. Their number 1 Repair Serum, Resilience Lift Night Creme in a deluxe gift size and so much more. Yours for $99 with any Estée Lauder purchase of $120. The collection is worth over $720. Visit their boutiques now before it’s gone! (Store Locator: here). Offer good while supplies last. Quantities limited. 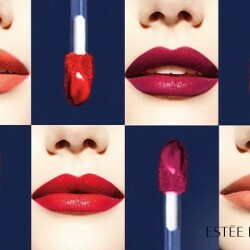 Estee Lauder: New Pure Color Envy Liquid Lip Potion! Grab this New Pure Color Envy Liquid Lip Potion! Choose the outer flat side of the brush for a natural look or the arched side for pouty full lips. Which look would you go for today? Starting repairing your skin today with their Advanced Night Repair! Receive a free 7pc gift set with every $200 spent on Estée Lauder products with an additional complimentary tote bag when you spend $240! Head to their boutique in ION Orchard to get yours while stocks last! Spritz yourself with Estee Lauder's Modern Muse fragrance for that boost of femininity strength and confidence. Click here to (only accessible via PC) for your trial supply of our Modern Muse. 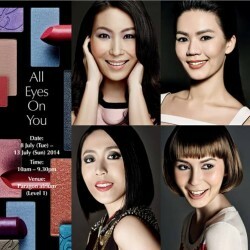 Have you registered for Estee Lauder's All eyes on you beautiful eyes workshop from 8-13 Jul. 2014 at Paragon? Register now and discover the secret to beautiful eyes. Registration fee fully redeemable for products. 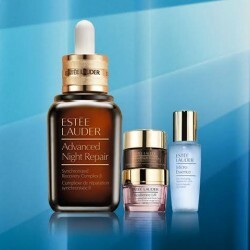 Estee Lauder's latest teaser found in member's mail, The Newest Innovation Coming Soon as it described, most probably a new product from the signature advanced night repair (ANR) series. 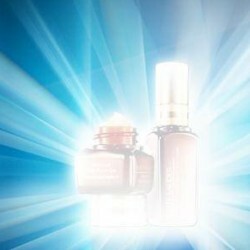 Register here and get you hands on Estee Lauder's newest products trail.